Sweden is an attractive country to study abroad: There are around 40 universities where you can study in English, and they offer around 1,000 different study programmes in English. 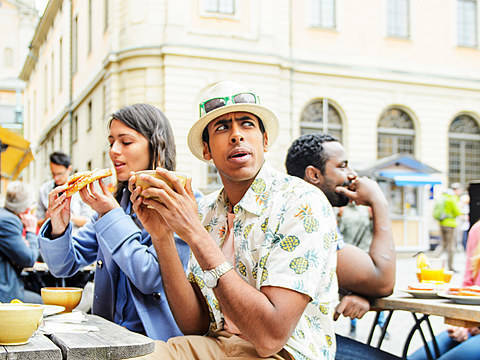 Every year, Sweden attracts 30-40,000 students from abroad. Study in Sweden for a full degree, or as an exchange student? Studying in Sweden is possible both for a full degree, or - if you are enrolled in another country - as an exchange student for one semester. The English requirements (see below) usually apply to both full-degree and exchange students. As a degree-seeking student, you need to choose the universities and study programmes you are interested in and then submit your application through the centralised Swedish admissions system. If you plan to start your studies in the autumn (i.e. September), the deadlines for the first rounds of applications are usually already in January. The easiest exchange programme for most students is Erasmus+, which is available to all students in the EU or EEA as well as a range of partner countries. Other than that, your local university might have agreements with Swedish universities. Ask your local international officer for details. Are there tuition fees at universities in Sweden? 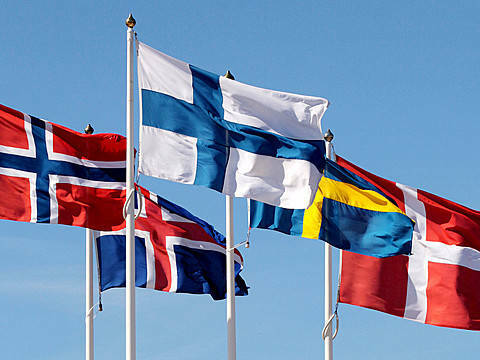 Citizens of the European Union (EU), the European Economic Area (EEA) or Switzerland do not have to pay tuition fees and can study in Sweden for free. 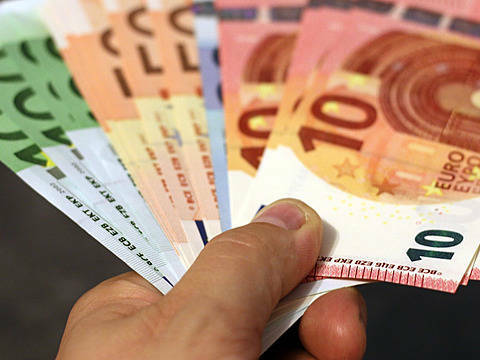 Students who are coming to Sweden in a student exchange programme also do not have to pay tuition fees (unless their home university requires it). between 190,000 (19,000 EUR) and 270,000 SEK (27,000 EUR) for Architecture and Design degrees. What TOEFL or IELTS test scores do you need to study in Sweden in English? Proficiency in English is an important admissions requirement when you plan to apply to university in Sweden. If English is not your mother tongue, you may therefore have to take an English test, and submit your English test score with your university application. Luckily, the application process in Sweden is centrally organised, and the English requirements you will have to meet are easy to understand. Generally, all major English tests are accepted: IELTS Academic, TOEFL, Cambridge and Pearson PTE. Most universities set their English requirements to levels they call “English 5”, “English 6” or “English 7”, which relates to how English is taught in the Swedish school system. “English 6” (sometimes also called “English B”) is by far the most common requirement to study in Sweden in an English-language Masters or Bachelors degree programme. If you know the level required by the university, you can easily find out the required English test scores. a Person PTE Academic score of 47.
a Person PTE Academic score of 62 (writing 61). a Person PTE Academic score of 68 (writing 61). During your previous studies in the EU/EEA, you already attained at least 60 ECTS credit points in courses that were given in English; or you attained 60 credit points in English-taught courses in the USA, Australia, Jamaica, New Zealand, or the English-speaking parts of Canada. Students from Africa - you have a 3-year Bachelor's degree from one of the following African countries: Botswana, Eritrea, Ethiopia, Gambia, Ghana, Kenya, Lesotho, Liberia, Malawi, Namibia, Nigeria, Sierra Leone, Swaziland, Tanzania, Uganda, Zambia, Zimbabwe. Students from India or Pakistan - you have a Bachelor's degree in Engineering, Computer Science or Computer Applications, Medicine, Pharmacy, Natural Sciences or Technology - unless it is documented that the language of instruction was not English. Where to find study programmes in Sweden? You can find Bachelors, Masters or PhD programmes in Sweden with our search function. Do you need to know or speak any Swedish? No, you don’t need to! Swedish people are among the most proficient English-speakers in Europe: If you speak English, you will have absolutely no trouble communicating with locals in Sweden. In fact, many Swedes will be delighted if they can try their English on you. You can even find a job after graduation without speaking Swedish, especially in large cities like Stockholm or Gothenburg. That said, Swedish is a relatively easy language to learn, and if you spend a year or more in the country, you should give it a try!